Radu Grosu is a full Professor and the Head of the Cyber-Physical Systems Group within the Institute of Computer-Engineering of the Vienna University of Technology. Grosu is also a Research Professor at the Department of Computer Science, of the State University of New York at Stony Brook, USA. The research interests of Radu Grosu include modelling, analysis and control of cyber-physical systems and of biological systems. 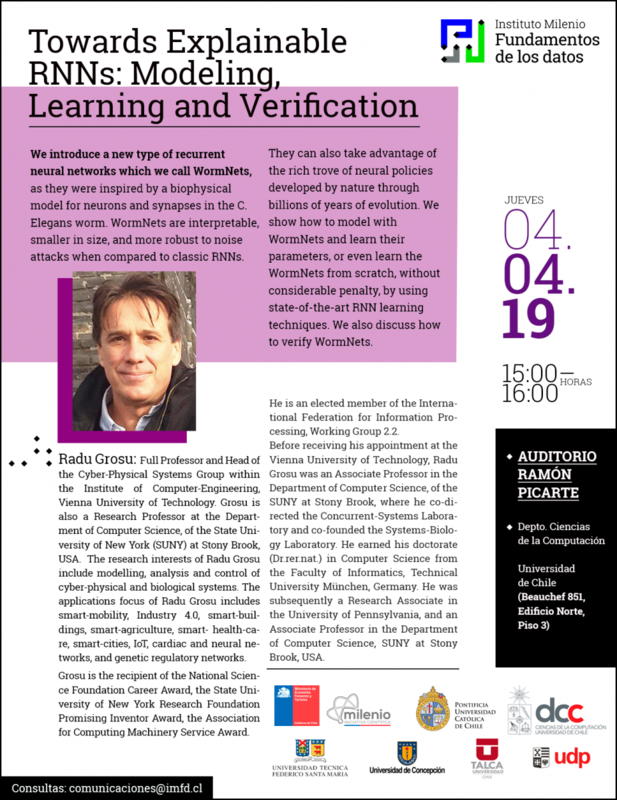 The applications focus of Radu Grosu includes smart-mobility, Industry 4.0, smart-buildings, smart-agriculture, smart-health-care, smart-cities, IoT, cardiac and neural networks, and genetic regulatory networks. Radu Grosu is the recipient of the National Science Foundation Career Award, the State University of New York Research Foundation Promising Inventor Award, the Association for Computing Machinery Service Award, and is an elected member of the International Federation for Information Processing, Working Group 2.2.